Grazia Deledda was born to a "fairly well-to-do landowner who farmed his own land," as she wrote, on the island of Sardinia. She had little formal education, attending elementary school and then receiving some private lessons in Italian with a tutor. She began to write stories and published her first work in a magazine as a teenager. In 1900, she made her first trip to the capital of Cagliari, where she met and married Palmiro Madesani, a civil servant, The couple later moved to Rome, though they made frequent return trips to her native Sardinia. It was the setting for many of her books. She published some successful fiction before achieving real fame with her novel Elias Portolu (1903). Her 1904 novel Cenere (Ashes) was made into a silent film starring the great tragic stage actress Eleonora Duse. Grazia Deledda wrote about 50 novels, poems, collections of short stories, and plays. She's considered a leader of the "verismo" (realism) school of Italian literature. She won the Nobel Prize in Literature in 1926 and continued to write extensively. 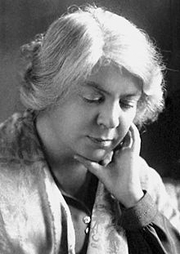 An autobiographical novel, Cosima, was published posthumously in 1937. Grazia Deledda is currently considered a "single author." If one or more works are by a distinct, homonymous authors, go ahead and split the author. Grazia Deledda is composed of 7 names. You can examine and separate out names.